For the tired and weary, this beauty salon can perk you up in no time. Offering manicures, pedicures, waxing and massages at affordable prices, it’s no wonder Perfect Beauty & Spa made it onto the finalist list for the Local Business Awards. Their friendly team and high quality service means that regulars keep coming back, and they spread the word to their friends! Shopping can be exhausting and there’s nothing better than a massage to cap off your day of retail therapy. When it comes to your mid-shop snack, Caffe Cherry Beans has got you covered with delicious salads, melts and burgers. They freshly roast their coffee each day, and the best single origin coffee beans from Africa, Latin America, and the Asia Pacific region are selected for a much needed cuppa. The friendly staff, combined with their wide selection of food and drinks, are just what you need at your local mall. It’s always impressive when a national brand can engage with the local community, and Boost Juice has done just that, being voted into the finals by virtue of their delicious smoothies and juices. A sip of a little Boost in your belly is just what’s needed after a long day, and whether it’s some mango magic, a berry bang or a touch of matcha goodness, it’s sure to brighten your spirits. With $5 Boosts on Tuesdays on the phone app, you can indulge in your favourite drink without breaking the budget! It’s a hit for those who like to stay healthy and refreshed. As self proclaimed “airfare experts”, Flight Centre is your first port of call for all your travel needs. Providing detailed and useful advice on all things from travel insurance and flight routes, to tourist attractions, their expertise has made them a popular choice within the community. Their low airfare guarantee means this is the perfect place to go when it comes to booking your next holiday. Of course, a business that promises to beat any competitors price or “you fly free” would zoom straight into the finalists list. Next time you’re in, ask for some of their special deals that can help cover all aspects of your next holiday from hotels and car hire to cruises and tours. It’s always special when people show you they care — whether it’s to celebrate a birthday, anniversary, graduation or new additions to the family, Roses for You delivers quality mementos of love. From beautiful bouquets to balloons and baby gift packs, the florist has been serving the Inner West community for over 20 years, sharing many wonderful occasions with their customers. Offering both local and international deliveries, they still keep their local feel and are always ready to provide tips on which arrangement is best suited to the occasion! Past winner of the Fruit and Vegetable Shop category and serial finalist in the Local Business Awards, Ashfields of Fruit are once again honoured as finalists in this year’s list. Despite major supermarket chains in Woolworths, Coles and Aldi competing for their business, they’ve ensured that their consistent service and quality produce have kept loyal customers coming in. 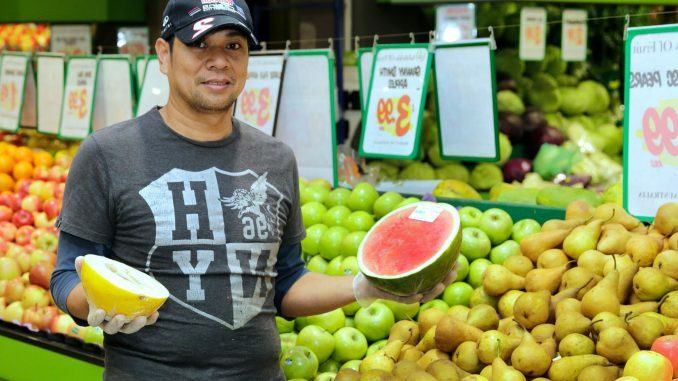 Their premium products are sourced from markets and passed onto customers at lower prices than their competitors, meaning that the fruit and veg is top notch in both quality and value for Ashfield shoppers. Only opening in 2013, this year marks Scissors Taper Cut’s fourth nomination for Outstanding Hairdresser in the Local Business Awards. The unique customer service approach taken by owner, Marty Issa, sure is paying off. Instead of silently indulging your crazy impulses, only for you to realise a week later that a short bob or blue highlights aren’t for you, Marty tells it like it is. If a customer is unsure of their new look, Marty walks them through possible options and provides tailored advice based on simple facts like head shape and hair thickness. This means the end product is perfectly suited to each individual customer. With premium gifts in jewellery and watches, this is a perfect destination for choosing the special something for your special someone. The sales are generous and their catalogue provides a wide range of choices so you can pick a unique piece, whether you’re celebrating a milestone anniversary, birthday, or just treating yourself. The staff are knowledgeable and more than happy to talk you through your decision, knowing that buying jewellery can be an indecisive and tricky business! It’s no wonder they’ve made it into this years finalists of the Local Business Awards. With qualified jewellers and trained gemologists, this jewellery store will have you walking out of the store satisfied with your purchases. Store manager Richard and his staff are well-equipped with the knowledge and passion to help you find what you’re looking for, whether it’s an engagement ring, pearls for your mother, or bangles for a special occasion. Showcase Jewellers are also keen to assist you in keeping your diamond jewellery clean and looking brand new, as well as helping you out with all things jewellery care. There’s something about Pharmacy 4 Less, Ashfield, your local discount chemist, that keeps you coming back. From unbeatable deals to a wide range of medicines for when you’re feeling under the weather, affordable cosmetics to have you feeling confident and beautiful, and specialised service at the ready from trained pharmacists prepared to talk you through your health concerns — this community stalwart is an obvious inclusion in this years finalists. The combination of all these factors makes them a go-to for locals who need to pick something up from the chemist and want to do so in an affordable and comfortable fashion. Seeking financial advice for your mortgage or applying for a loan isn’t always the most relaxing or pleasant task to tend to at a shopping centre, but the team at Aussie Ashfield ensure that they take on your stress and make the process as simple, and even as enjoyable, as possible! Appointments are completely obligation free, and manager Jeffrey is even fluent in Mandarin so that clients who prefer to speak in Chinese can be comfortable discussing their financial situation. Taking customer service very seriously, Aussie are open on the weekends so people of all situations can procure financing or have their questions answered, without having to take time off work.